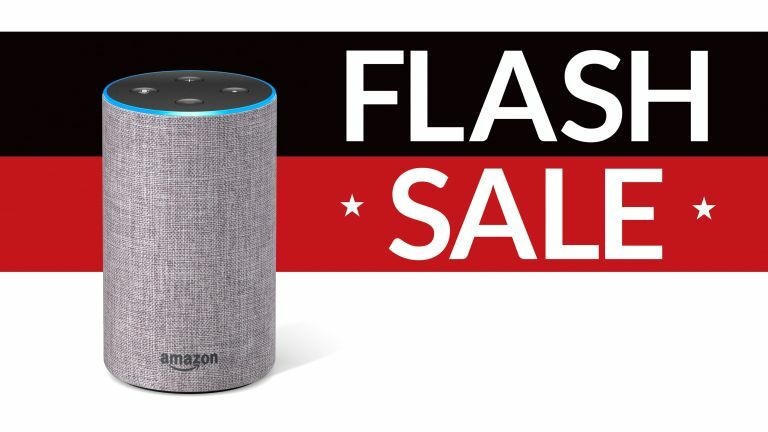 "Alexa, show me a brilliant discount on the Amazon Echo"
If you're looking to buy an Amazon Echo smart speaker, there has never been a better to add one to your shopping basket. Amazon has slashed £20 off the price of the Alexa-powered speaker to celebrate Valentine's Day. The new second-generation Echo is much smaller than its predecessor and has a stylish new fabric around the cylindrical speaker, which is available in Charcoal, Heather Grey, and Sandstone finishes in order to match the decor in your home. Echo can be used to stream music and live radio broadcasts. Using Amazon's resourceful AI assistant Alexa, users can control smart lighting, check the latest headlines, traffic, and weather, set timers, add things to their Amazon shopping basket, order takeaway via Domino's and Just Eat, and more. Amazon will deliver the second-generation always-listening speaker for free, so what you see is what you'll pay. The second-generation Echo typically sells for £89.99, so picking one up for £69.99 is not to be turned down. Fancy getting even more information about the Amazon Echo? Well be sure to check out our detailed Amazon Echo review, which explains everything you need to know about the product as well as how it improves on the first-generation Echo, too. Be sure to also check out T3's best smart bulb, best smart plug, best smart security camera and best smart home gadgets guides as well, as they're teaming with top products that can be controlled with the smart speakers.